128 Harley Street Dental Suite is rated 5 out of 5 based on 30 reviews on Google. There’s no better way to achieve a perfectly straight smile than to have braces fitted on your teeth but, if you’re no longer a child, the prospect of having traditional metal braces can be almost embarrassing, 128 Harley Street Dental Suite is here to help. How are clear braces different? 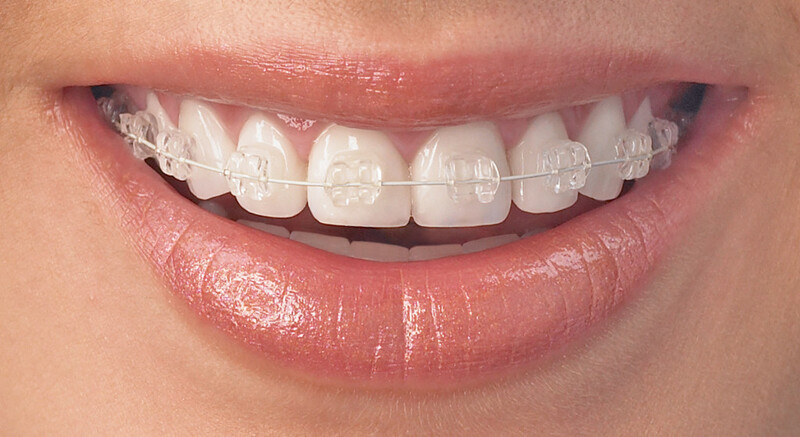 Clear braces don’t use wire in the connections, opting instead for ceramic mounds on the teeth where metal would be usually. The thin metal components are barely noticeable, with most clients reporting that friends and family seldom even know they are wearing braces. Clear braces will ensure that you retain your confidence whilst the brackets get to work on straightening up your smile. The dentist will discuss the length of the treatment required for your given circumstances, ensuring that your newly-perfected teeth can be revealed as soon as possible. Most clear braces are almost imperceptible they are not quite as invisible as Invisalign. As you can see, the clear brackets are virtually invisible and the white wire blends in with the teeth, remember this is a close-up photograph so here is a full face image of a patient wearing clear braces. At first glance you would be forgiven for not noticing that this person is wearing clear braces… They are virtually invisible braces. How many appointments you might need, are all of these included in the treatment cost? 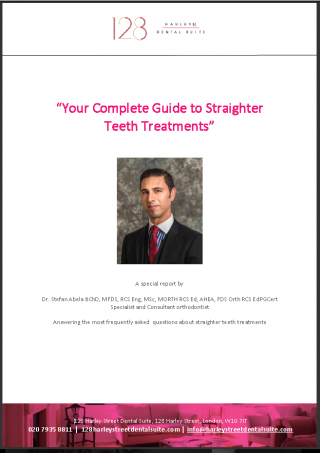 What about retainers, does your orthodontist include the cost of retainers? Are additional appointments included at the end of treatment if the treatment goes longer than originally planned? The cost of clear braces is generally a little more than conventional metal train track braces. Clear, white braces typically start from around £1995 for one arch (top teeth or bottom teeth). 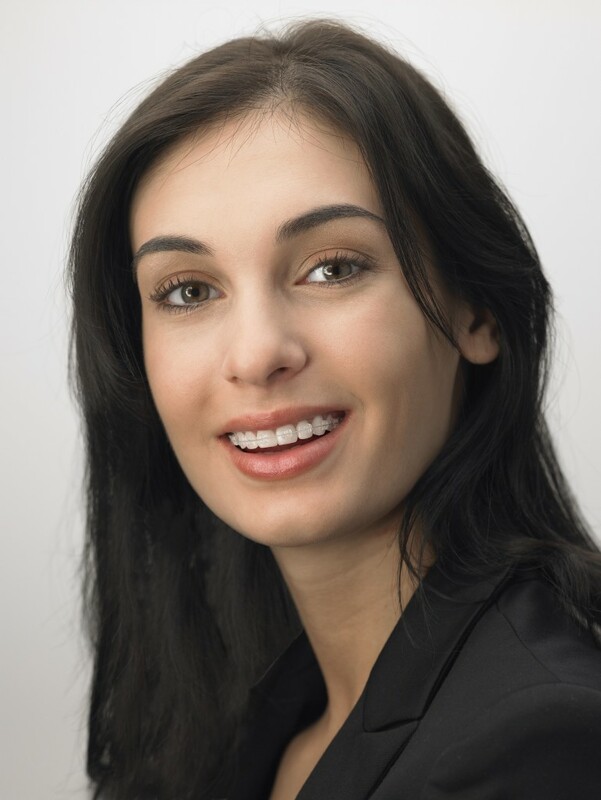 Contact our Harley Street orthodontic practice today. How do ceramic braces compare to the other brace systems? Lovely team beautiful surgery and v happy with speed of retainer delivery! Stefan & Milisha could not have been nicer or more professional, I would recommend to anyone. Fantastic service and painless fillings. Highly recommend! I have just got my braces after being treated for about 2 years by dr. Abela. I highly recommend as he is talented and charismatic. Dr Milisha was absolutely wonderful – very friendly and extremely professional. Would highly recommend to anyone. A big THANK YOU to Dr Abela for giving my daughters Lara and Lisa such a wonderful smile!!! The treatment here in Malta was professional, caring and highly successful! We are all very happy with the result! Well done Dr Stefan for the excellent job.Had my front tooth fixed in only four months using invisilign braces. 128 Harley Street Dental Suite are a London dentist with a modern, friendly and personal practice ethos offering dental implants and orthodontics, as well as general dentistry.